Misc. Nominal Rolls – The 60th Battalion C.E.F. 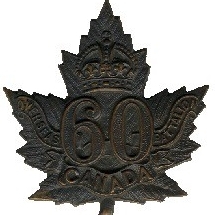 "Victoria Rifles of Canada"